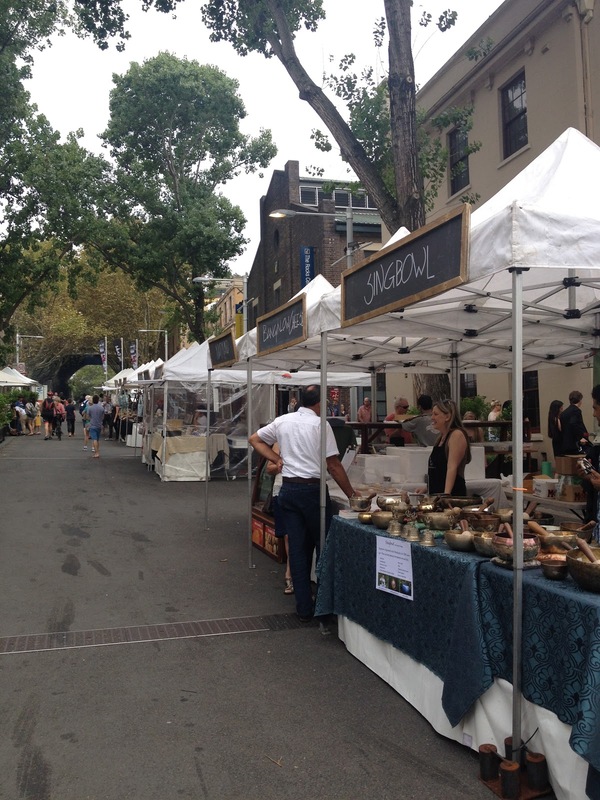 Down a small street in The Rocks area of Sydney was a foodie market we had to check out. We made it there just before it started raining. I was overwhelmed with options. They had everything from cheese to cupcakes to kebabs. 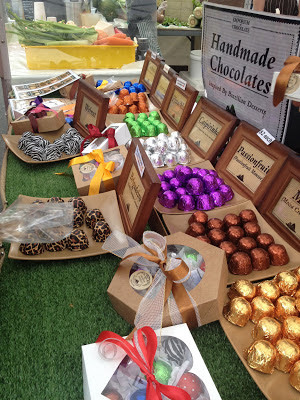 First we tried a cupcake, and then I bought handmade chocolates wrapped in funky printed foil. When I passed a cheese vendor I had to sample each one. There was a variety of brie. I asked all kinds of amateur questions like, ‘can you eat the rind?' and wound up leaving with a nice chunk for myself. It wound up stinking in my bag, so my friend and I each secretly thought the other one smelled funny until we got back to the hotel and realized the source of the smell was the brie. Anyway, we made our way to the end of the market to find a few vendors selling a variety of hot food. We tried a shrimp skewer with pesto and a lamb skewer with yogurt sauce over rice with raisins and almonds. It was an absolute mess to eat standing up with minimal napkins. No sooner I felt oil drip down my hand, the rain began. We were lucky, for now it was only a drizzle. Next we tried a wrap that looked like it was made with naan bread. It had roasted pumpkin inside with spinach, walnuts, pesto, and feta. We were satisfied with our choices and ducked into a table under an awning at the Lowenbrau German restaurant next door while it rained. We stopped for a beer and watched a street performance by two lovely German men in leiderhosen. From there we knew there was only one thing to do (on a rainy day in Sydney)..... Cocktails!